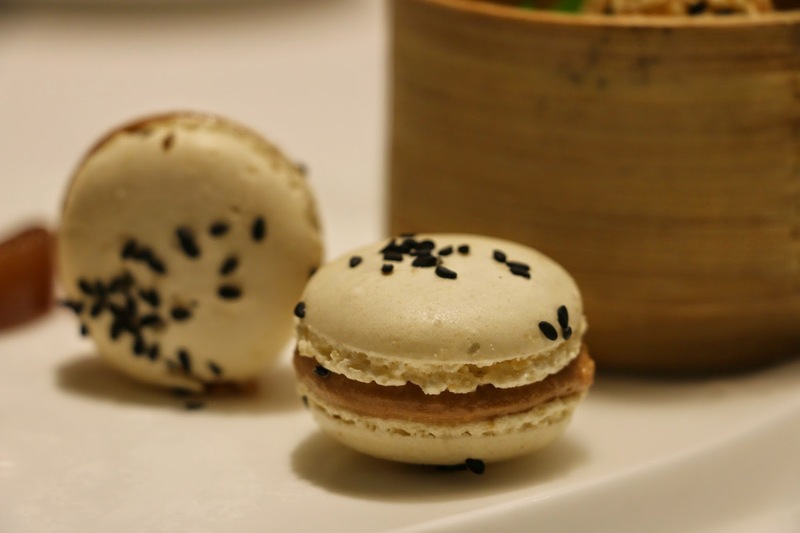 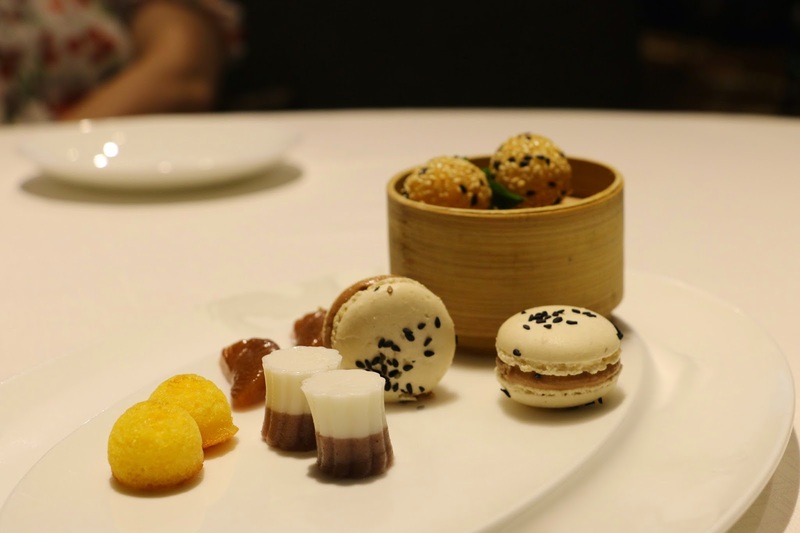 A trip to Macau should always include the most esteemed Chinese cuisine, Cantonese dim sum. 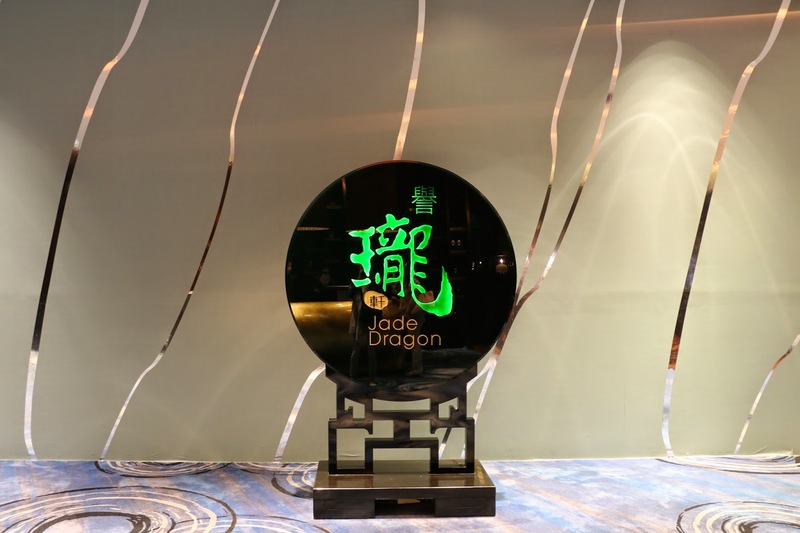 Arriving at the Michelin-starred Jade Dragon, you'll be taken through a lengthy corridor from the reception hall to the dining room, which is set with shades of traditional European design, an open barbecue kitchen and finally the elegant dining room. 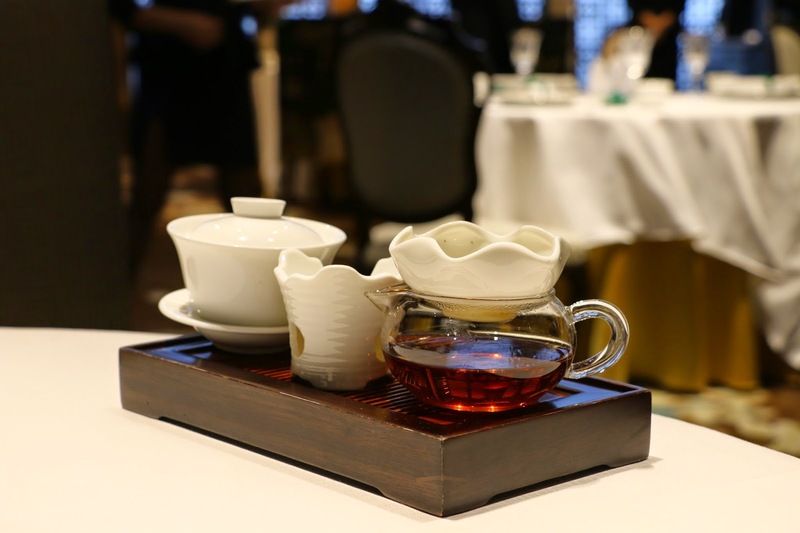 We are instantly met with welcome tea and table-brewed Chinese tea. 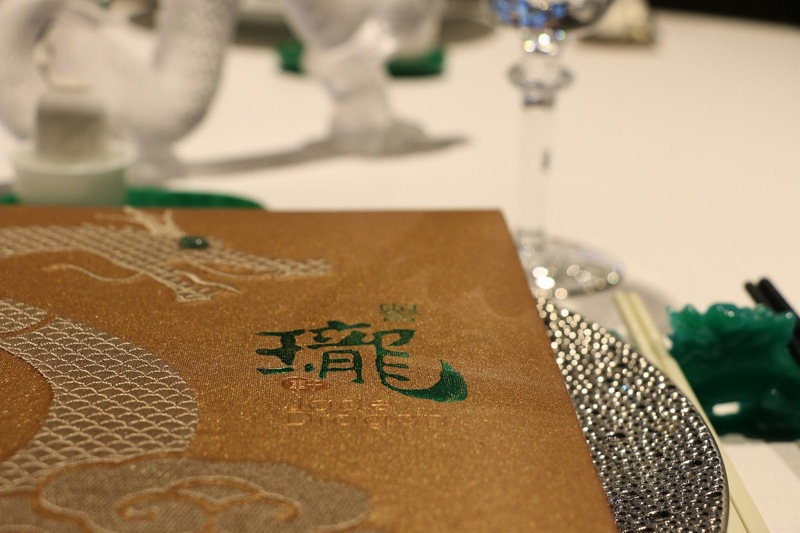 The spacious area has soft, comfortable furniture and a breath-taking dragon theme that is particularly enjoyable. 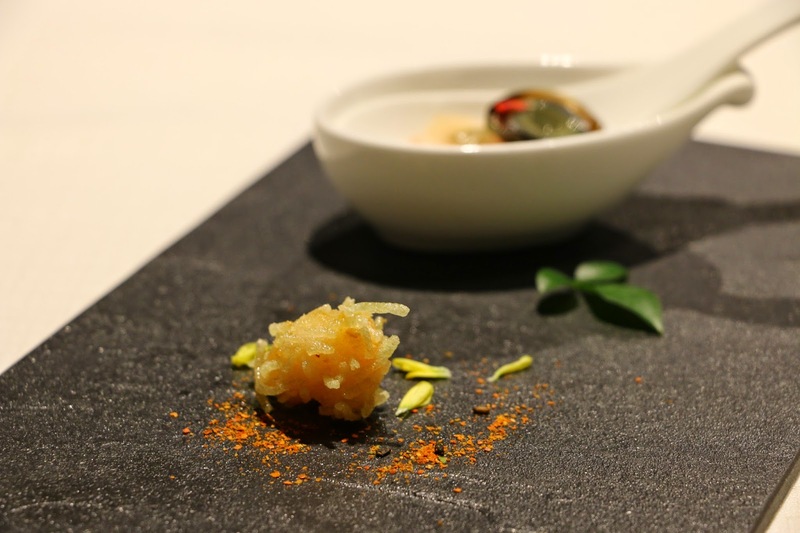 The early lunch starts with the daily amuse bouche. 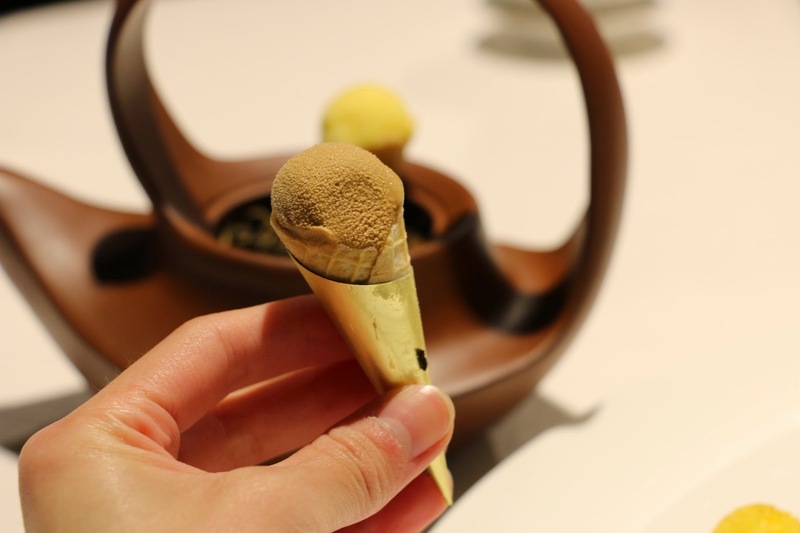 The staff prepares it very delicately and the quail thousand-year old egg is quite impressive. 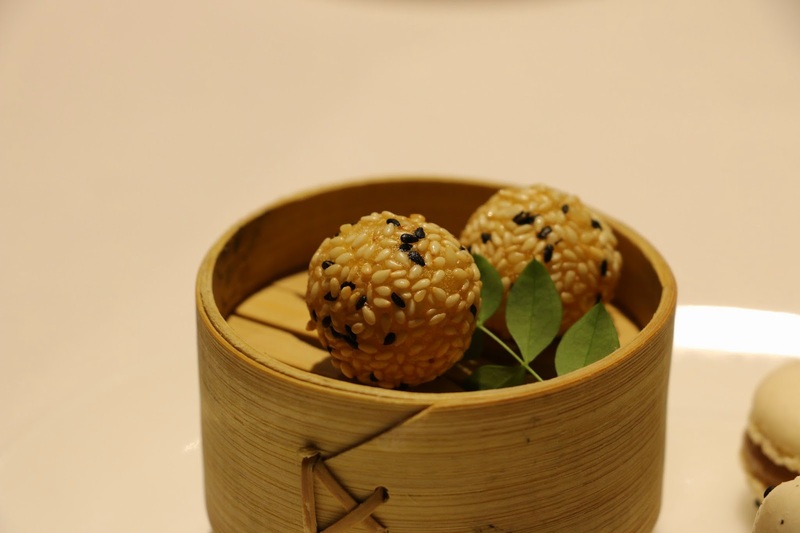 Unlike your ordinary xiao long boa, the Jade Dragon’s version is steamed individually in their bamboo steamer, filled with fairly sweet Kagani crabmeat and served with a touch of black vinegar in order to provide the best level of satisfaction to the hungry patron. 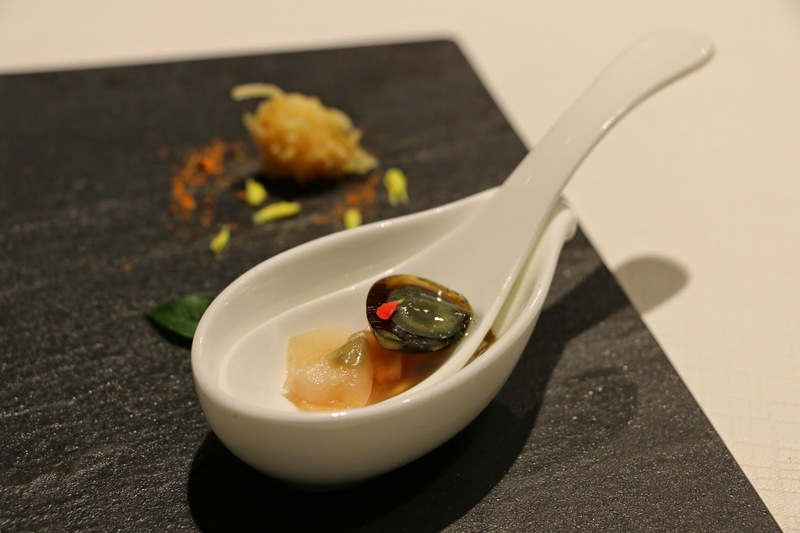 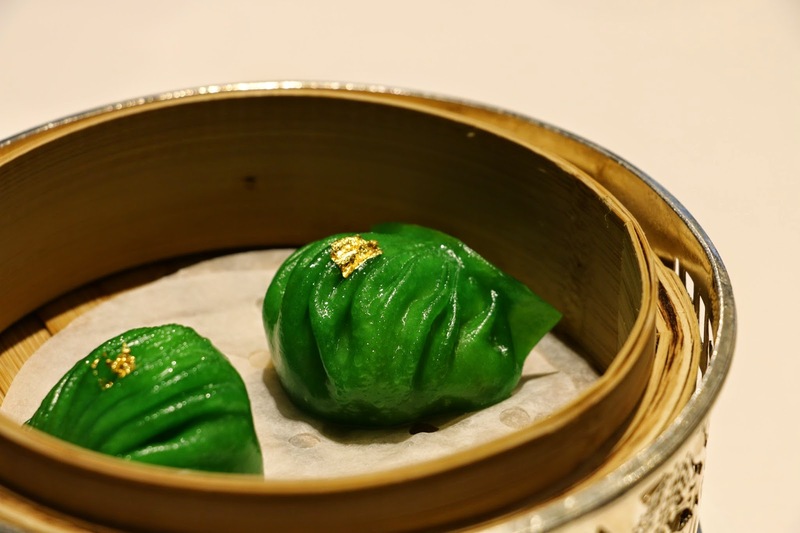 The prawn dumpling, which is named after the restaurant, and is decorated with edible gold, presents an eye-catching green colour from the spinach jus. 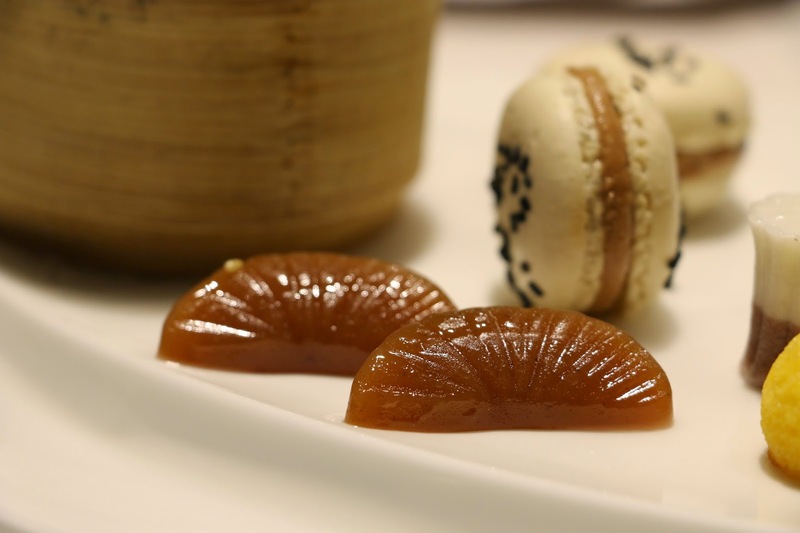 From the skin to the filling, I would compare it to a luxurious Ha Gou. 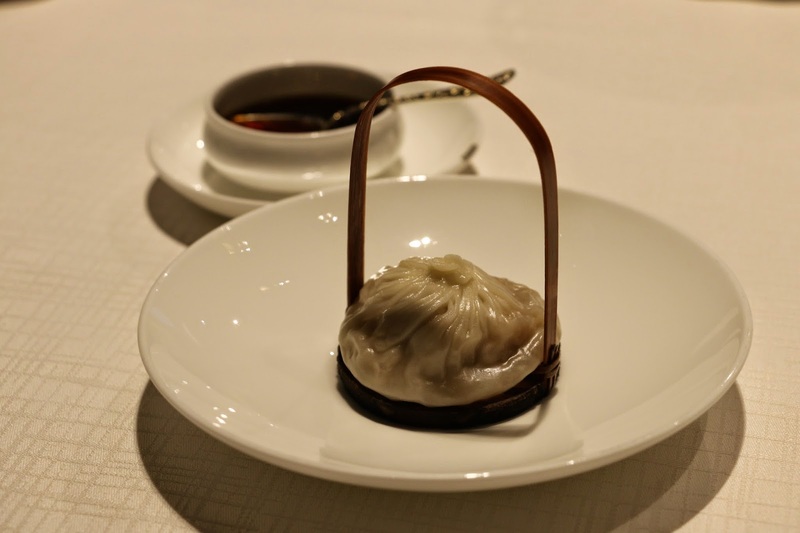 The Wagyu beef pastry puff is also neatly done. 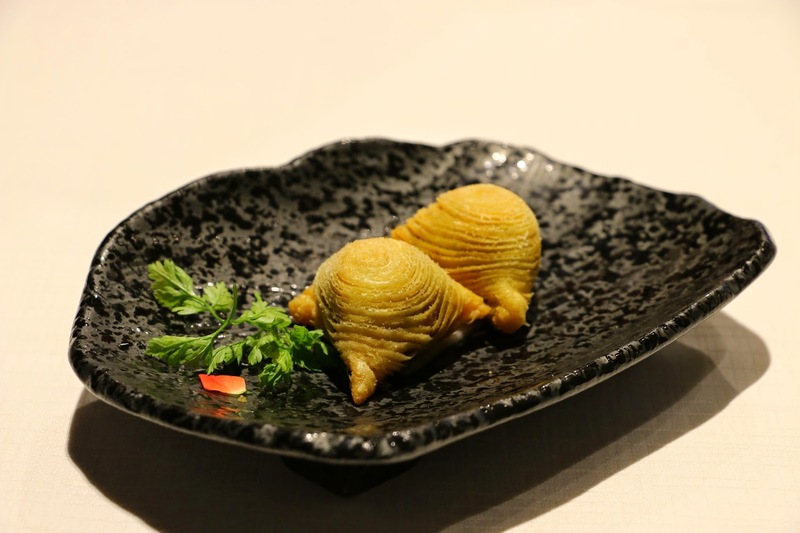 Although it might not be of the same quality as that from Man Wah, this version is still well-cooked with a mouthful of delicious peppered beef. 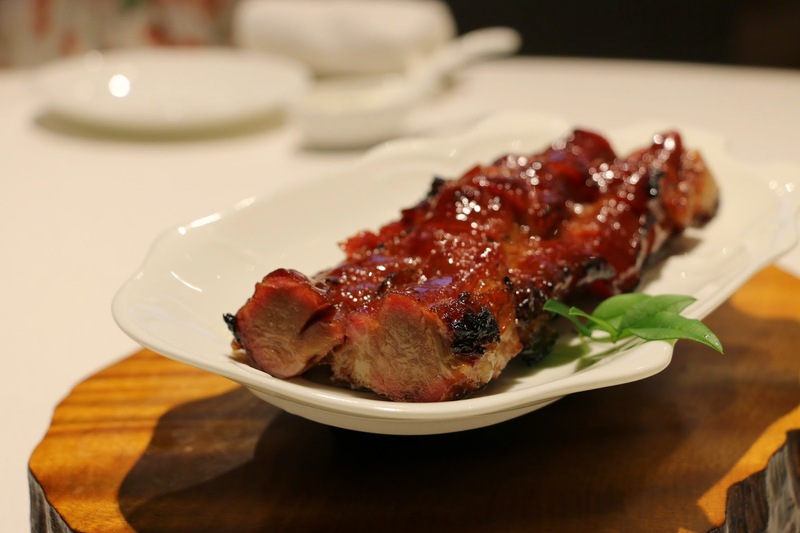 Given their roasted meat is made in their house lychee wood oven, the signature barbecued Iberico pork demonstrates another of their remarkable skills. 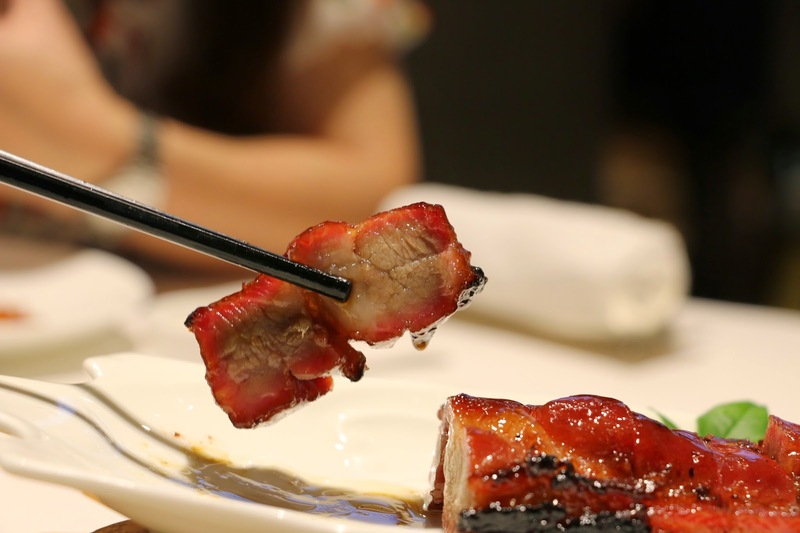 Prime-cut to the perfect thickness and fat-to-meat ratio, with classic honey and smoky characters, it is a dish to chase after the fluffy steamed rice. 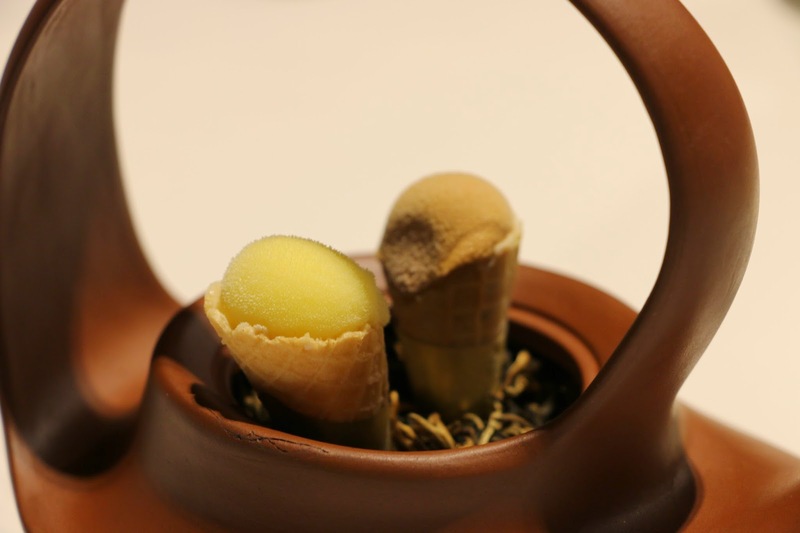 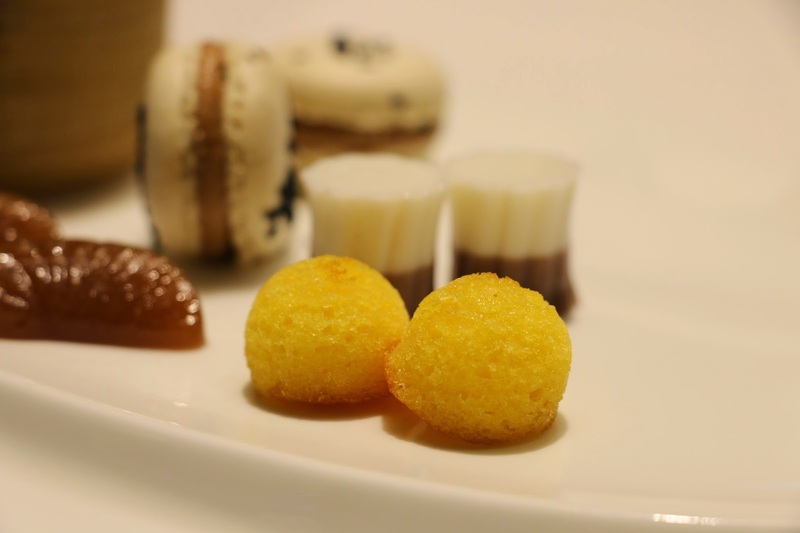 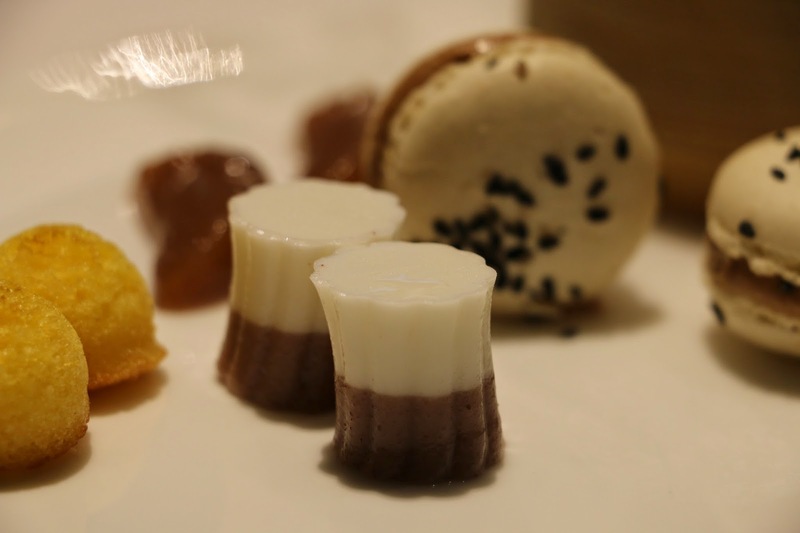 The chef shows great creativity in the last highlight of the meal, by serving two mini sorbet cones and a platter of mini desserts as the petit four. 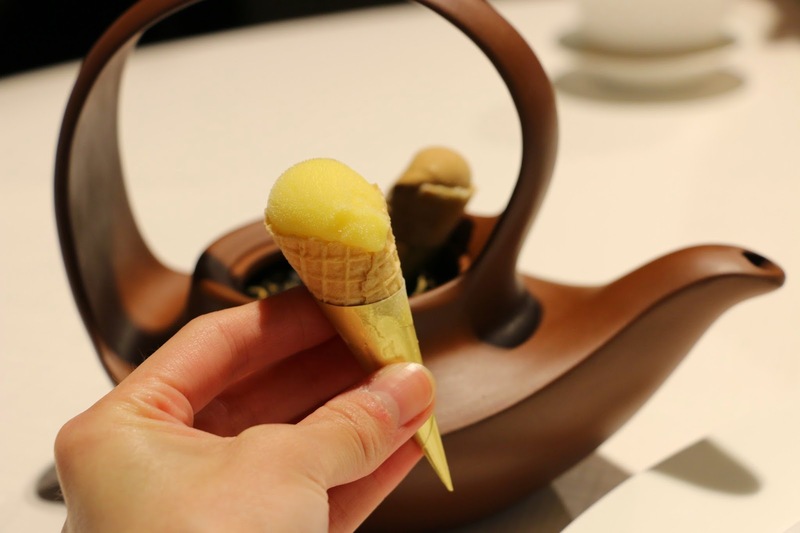 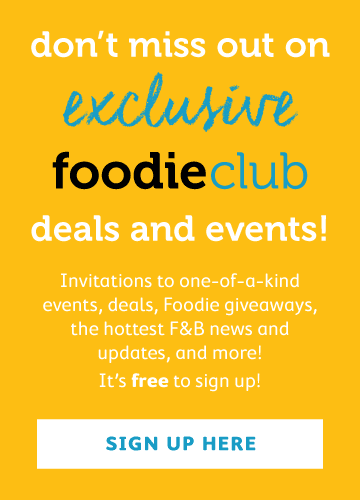 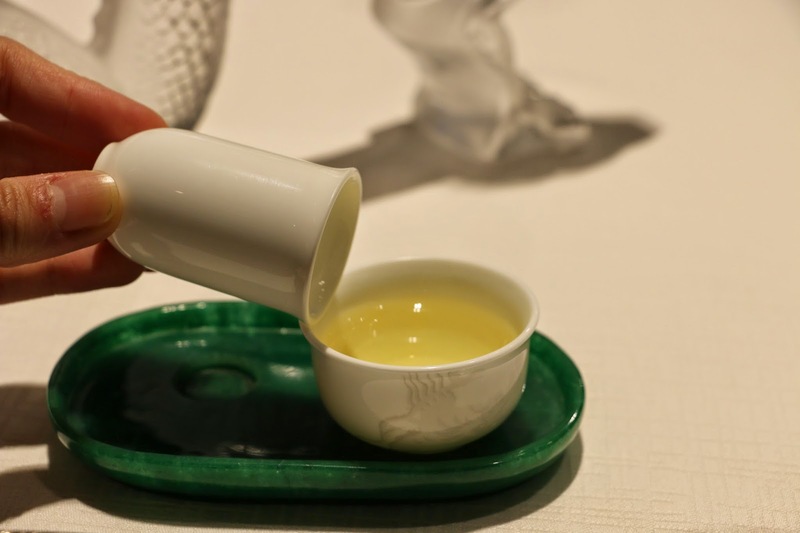 This is certainly an out-of-body experience with classic, quality and sophisticated dim sum.